This review is of a favourite of mine just over an hour from London on the Essex/ Suffolk borders in gorgeous Constable country. 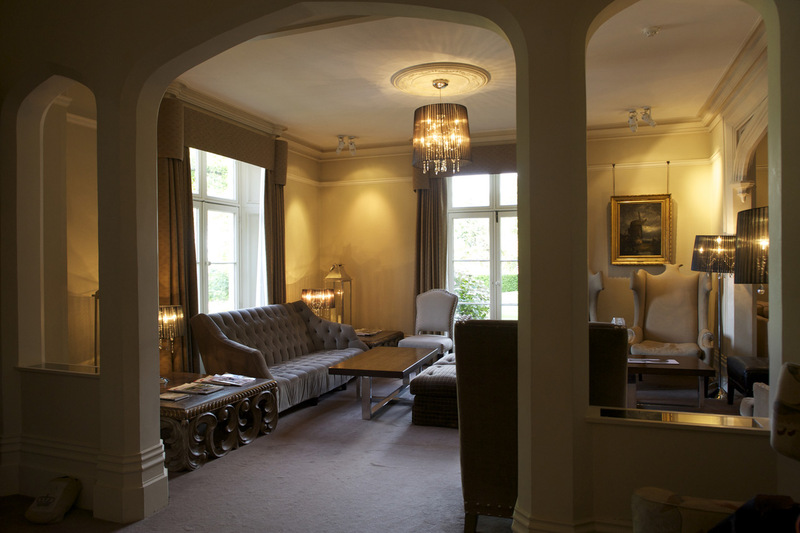 A cosy, luxurious country house hotel with fine dining restaurant, tennis, spa and year round outdoor heated pool. Perfect for a family break or a romantic getaway. It’s not often that I feel truly comfortable and at ease on one of my many jaunts checking out the best of the best so that you, the reader, doesn’t have to waste one second of your precious time away from home feeling like you’ve been short-changed or worse still you would prefer to be at home. I say this because as you might know, I’m no easy customer to please: First we have to deal with the borderline OCD when it comes to cleanliness – believe you me I’ve been to many five-star hotels that aren’t up to scratch and secondly, my expectations are extremely high whether it be service or simply the upkeep of the rooms, bathrooms and common parts. As a customer, to me value for money is key; whether you spend £100 or £1000 so I expect a place to be the best it can be. This brings me nicely to this small group of hotels owned and run by Milsom. If in need of a break, I know that they won’t let me down. It’s rare to find such consistency of amazingly high standards throughout, especially of service but they do it. It’s not rocket science, it takes thought and effort yet the large majority slack or sit on their laurels so they never measure up. Not Maison Talbooth, nor its award-winning restaurant Le Talbooth – a relaxed fine dining establishment famous in its own right for its romantic setting on the river Stour and its two AA rosette-kitchen producing dish after dish of terrific food delivered to diners by a veritable army of most gracious and professional staff. It’s been around many, many years and it’s not hard to see why. We drove up this weekend just the two of us. We needed to recharge our batteries. Sleepless nights (a three-year old not staying sleep!) and stress taking their toll, Maison Talbooth offers a panacea. Near to London but in beautiful surroundings, the minute you arrive at this plush, cosy country house you can feel your shoulders dropping! The rooms, all named after famous British writers are a luxury home away from home – thick carpets, super comfortable beds dressed in Egyptian cotton bedlinen. Ours, the Betjemen has both walk-in rain shower and oversize bath perfect for luxuriating in my ESPA Detoxifying Bath Oil one night and my ila Bath Salts of Inner Peace the next. 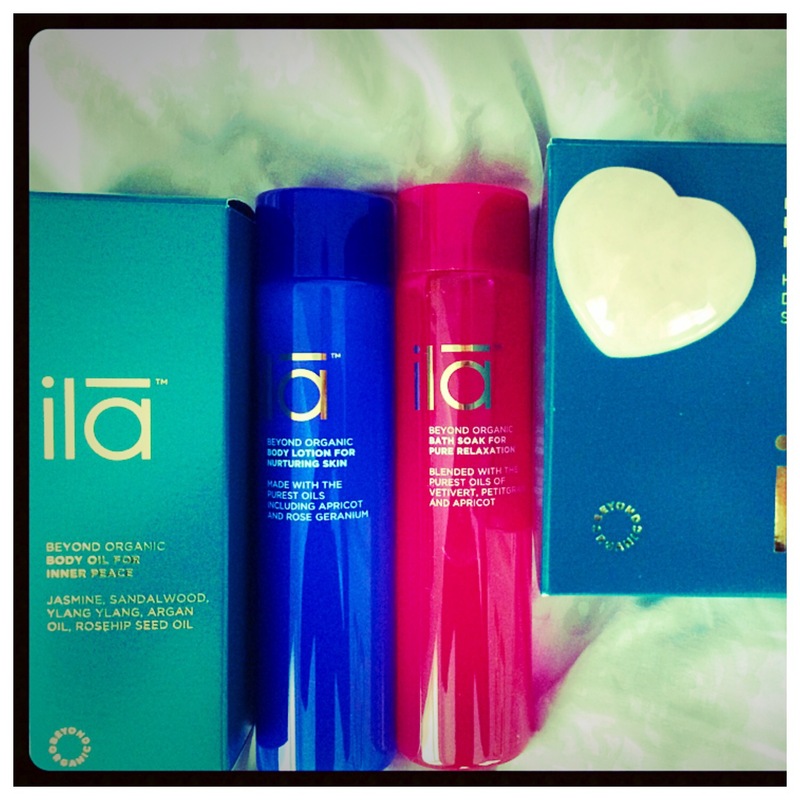 (My real treat when I travel; I always stock up on goodies ahead of a break – it’s the perfect opportunity to destress). Views are to die for too. 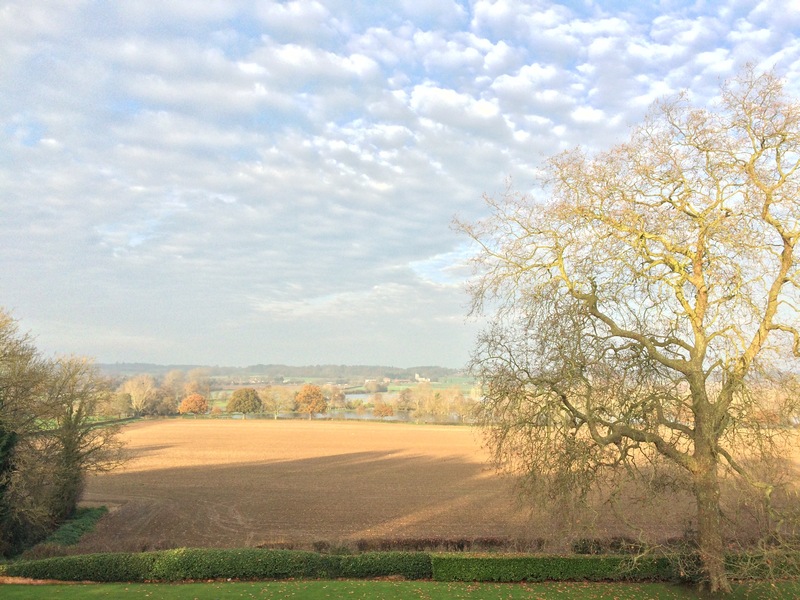 Opening the curtains to the fields beyond feels a far cry from London. The pool and pool house are situated in the gardens with the tennis court next door and through the day the log fires burn making it a great place to relax after a swim. This time round we opted for the spa. I’d not visited the first time. Needless to say, I was really impressed. Housed on the first floor of the main building, it’s small but perfectly formed. 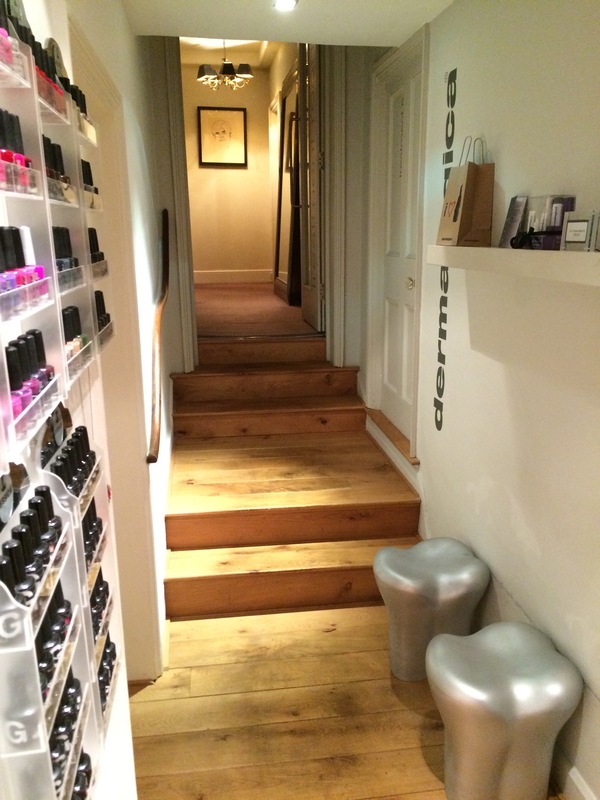 They have managed to create a little haven with a small reception area, treatment rooms and a nail station. The selection of polishes and gels would rival any much bigger operation. It’s a Dermalogica Spa -a range well-known for real results too. We opted for massages. There’s a comprehensive choice from aromatherapy through to holistic all on properly-padded beds and also (for next time!) heated water beds. Just another great piece of kit that makes this a cut above for a small boutique hotel. I chose the Indian head massage whilst Mr PCG opted for a back massage. Side by side we blissed out for an hour. 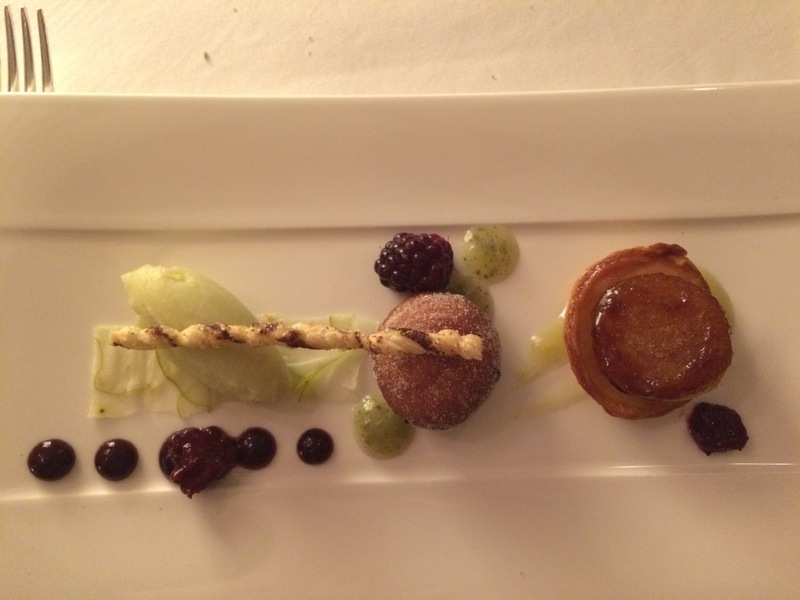 Food is a highlight at all the Milsom hotels, Maison Talbooth does a fantastic cream tea and serves a great selection of snacks and drinks all day downstairs in the lounge with Milsoms Bistro (and boutique hotel) literally a stones throw away. Emphasis always on quality and provenance of the produce. The charming General Manager, Evan Marshall is also Head Chef so foodies, expect to be well catered for! 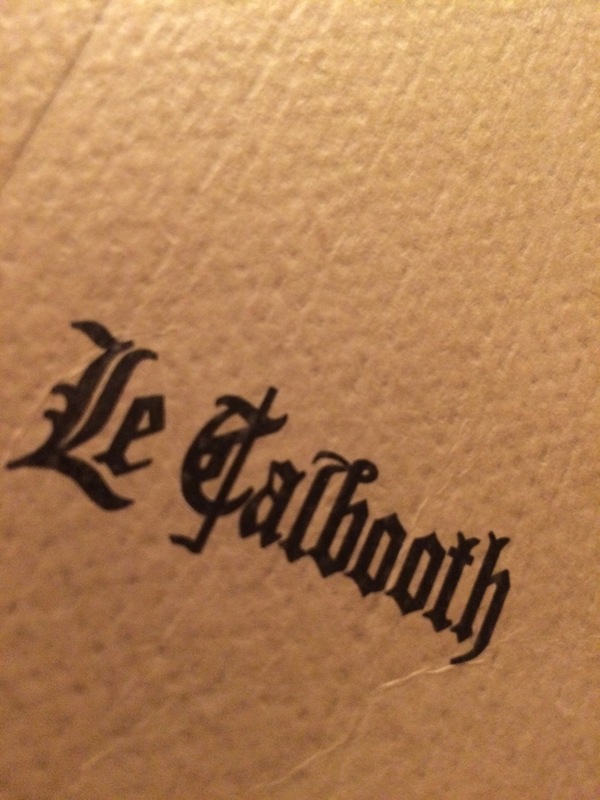 Speaking of foodies, Le Talbooth is the restaurant worth the journey from London alone. A meal here is a true experience in itself. 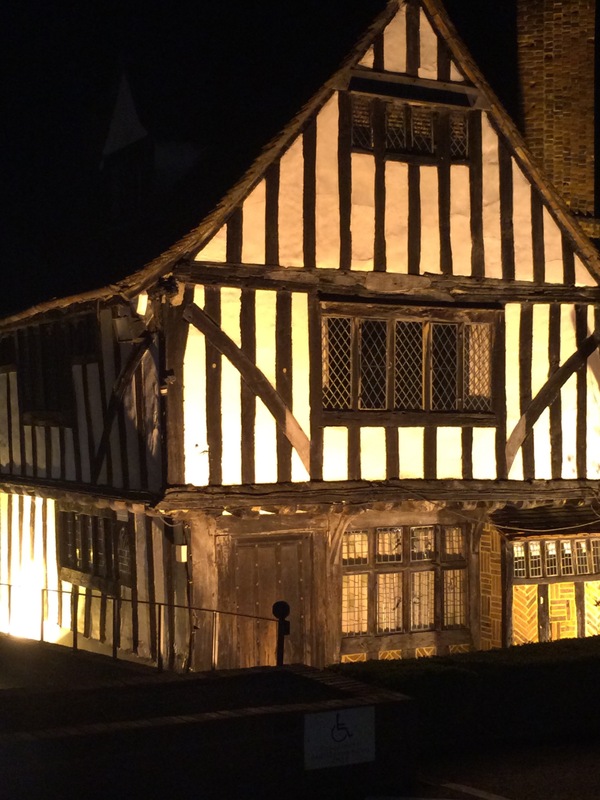 Housed in a traditional timbered building next to the river, a mixture of traditional and more modern cuisine, this is a very special place. Both luxurious, yet unstuffy and exceptionally well run. We dined both nights here. The hotel ferries clients between the hotel and the restaurant (approx. 2 mins) in a Range Rover, so no need to worry about the car. The food here hits the mark every time with precision cooking and presentation, well-thought-out menus and combination of ingredients. Much emphasis is put on produce; the Dedham Vale Chateaubriand cooked to perfection with a beautiful bearnaise sauce and dauphinois potatoes,for example. 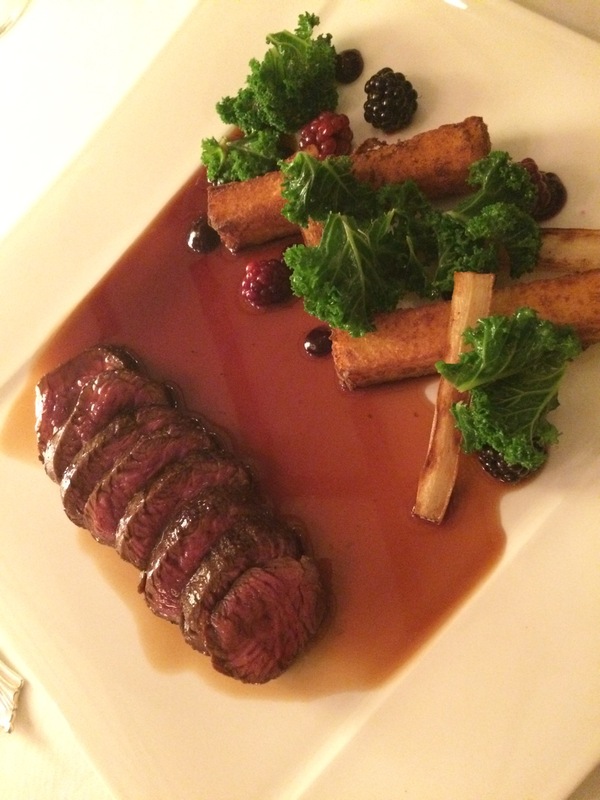 Thetford Forest Venison saddle with thyme infused polenta, blackberries and red wine jus was perfectly balanced. The starters were a real standout for us. 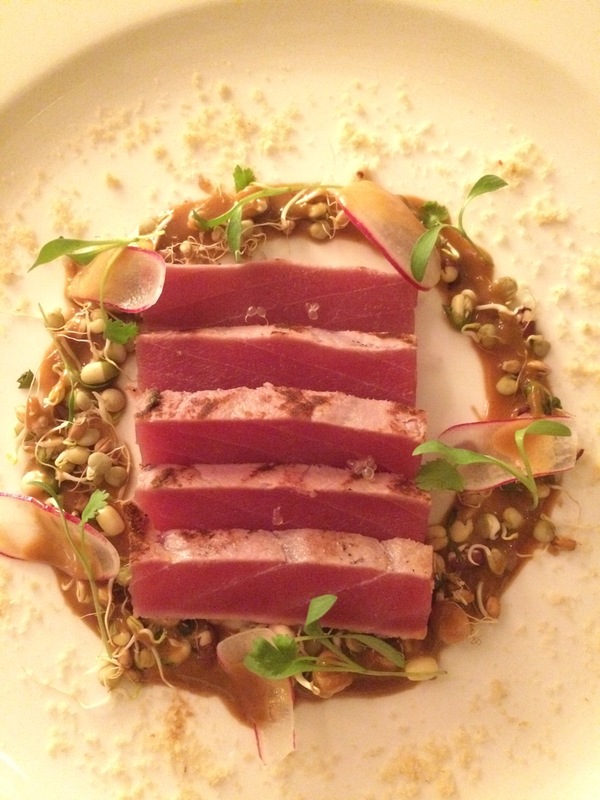 Seared yellowfin tuna (above) with Siam dressing, mung beans and smoked hazelnuts was a real revelation, light and fresh and so good that we ordered it twice! Also the veal carpaccio with crayfish, cashew nuts and pickled mustard seeds. Such a brilliant flavour combination. There’s something for everyone on the menu plus for once, a proper vegetarian menu too which looked really appealing and not an afterthought as so many feel. Dessert again were delicious, well-balanced and perfectly executed from the lemon soufflé to the banana millefeuille and apple three ways (above). As a cheese fantastic, I had a cheese course both nights. The cheese menu is varied yet not overwhelming with a section for both British and French cheeses. Lastly, a word or two on the wine list. We didn’t drink much over our two nights. An aperitif on both and a half bottle of a perfect Chateau La Claymore St Emillion recommended for the chateaubriand but the wine line is as expected. Grown up, pretty extensive but with something for everyone. We left Maison and Le Talbooth after our second lazy breakfast in bed feeling much more relaxed. 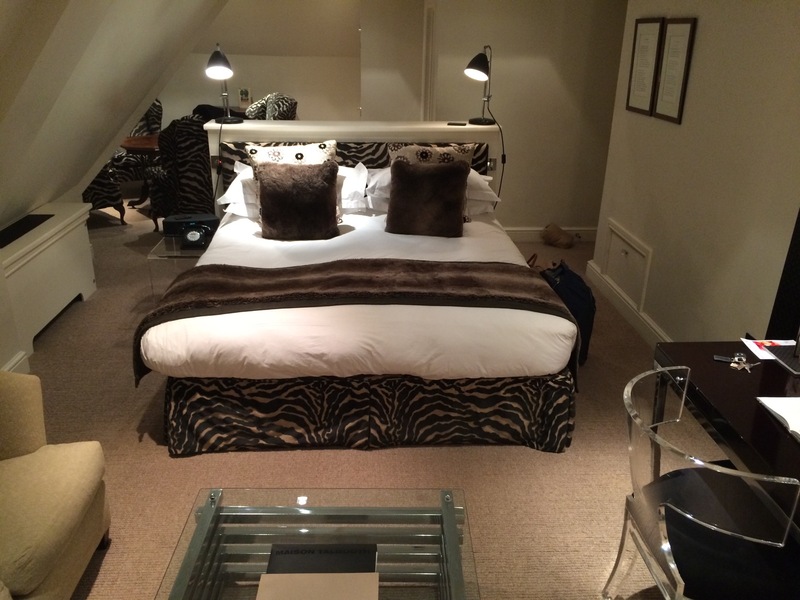 It’s a great place to choose for a short luxury break near London and one that never disappoints! Philips Lumea Precision Plus – IPL at Home. A Review. The Only Five Things to Know – How to Throw a Fantastic Third Birthday Party.